In Barangay Igang, Nueva Valencia, Guimaras, there is a beautiful island lined with palm tress, white sand and pristine coral reefs known officially in maritime charts as the Tiniguiban Islet. 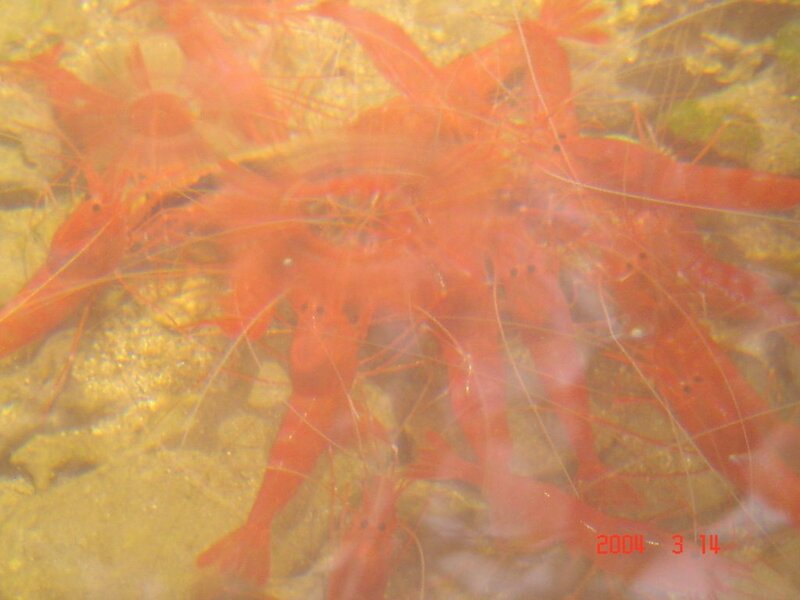 Located near the SEAFDEC Marine Observatory facility, locals prefer to call the island “Pulang Pasayan” on account of the rare species of scarlet-colored shrimp that can be found only there. Locals, especially the older ones, believe the shrimps are “enchanted.” In fact, superstitious Guimaras fisherfolk would usually warn the island’s visitors not to point the shrimps with their fingers or else something bad will happen to them. True or not, this island superstition has made locals scared to eat the shrimps, thereby allowing them to thrive. It is truly an eerie sight to watch the red shrimps. Since people are generally accustomed to seeing shrimps turn red when they are cooked or steamed, one gets a strange sensation when watching the red shrimps swimming alive for the first time. The feeling is akin to seeing the dead come to life. I myself have seen the red shrimps many times already and I have to admit that I still get “weirded out” each time I see them scurrying along the island’s numerous cracks and crannies whenever I go snorkeling in Pulang Pasayan. Together with its sweet mangoes, the mysterious red shrimps of Guimaras have since become a must-see attraction for foreign tourists and curious local excursionists in the island province. 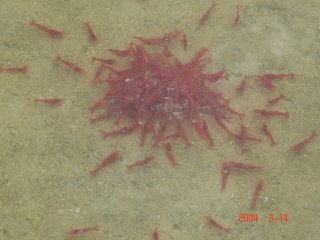 But future generations might not be able to see these strange scarlet-colored shrimps if our government officials and other concerned entities will not move fast to save them from the oil spill that is fast-approaching their habitat. I have been going to Pulang Pasayan frequently ever since my uncle purchased the island several years ago. Jose Martinez, my uncle, bought the island from its owners more than five years ago to make it into his own private retirement get-away. When he first arrived, the island was littered with human garbage and its surrounding coral reefs were colored gray, destroyed by cyanide and rampant dynamite fishing. Now, the reefs are alive with color and teeming with marine life and the island is also rid of trash. Pulang Pasayan is now back to its pristine state, thanks in part to my uncle’s hard work, vigilance and financial investment. A civil engineer by profession and a nature-loving sportsman by vocation, my uncle protected Pulang Pasayan’s reefs from illegal cyanide and dynamite fishers. He even fought and recently won a court case against a local fisherman he caught fishing with cyanide in the area. My uncle has invested his life’s savings on the island, constructing several nipa cottages, a rainwater system (the island has no freshwater source), and most importantly (at least to me), a toilet that flushes. When he is not so busy overseeing construction work, my uncle would spend hours scouring the island and personally pick up bits of candy wrappers, plastic bags and other human garbage. He would also strictly admonish visiting excursionists to bring their trash along with them. He even banned boats from docking on the island’s front beach area because their anchors scrape the seabed and cause damage to the coral reefs. Now, all his years of hard work and monetary investment will most likely come to naught because of the oil spill. To prevent the oil sludge from contaminating Pulang Pasayan’s coral reefs, my uncle has put up primitive “oil booms” along the island’s seashore. I call it primitive because his “oil booms” are made only of bamboo and old clothes purchased from the local ukay ukay stores. I am not confident that his primitive contraption will prevent the oil sludge from contaminating the island. To date, he has not received any support either from local government officials or environmental groups. He is all on his own in Pulang Pasayan and he direly needs help to prevent the impending oil slick from reaching the island. What my uncle fears most is that the rare shrimps of Pulang Pasayan might be lost forever because of the oil spill. I am therefore appealing to Guimaras Governor Rahman Nava, the Philippine Coast and other concerned entities to please include Pulang Pasayan in their oil spill mitigation efforts. I am also calling on all Ilonggos to please help save the red shrimps of Pulang Pasayan by donating their old clothes, bedsheets, curtains, etc. In the event that the oil spill reaches his shores, my uncle is also appealing for volunteers to help clean the sludge. Those who want to help save the red shrimps of Guimaras can get in touch with my uncle Jose Martinez at Hotel del Rio located along General Luna Street, Iloilo City where he stays. Hi sa mga kasimanwa ko. According to some of my web search, One disaster happened that is something like this somewhere in South America. I'm just not sure of the scope But i can not believe how massive and "big deal" thier government took action about it. Just read the attachment. I hope the people of Guimaras especially the elected officials and to the government agency concerned will do the necessary actions. Sometimes it's just about the asking. We need help so, we should ask for help. I really appreciate the concern and efforts of Oliver. I really love Iloilo (guimaras and it's neighboring provinces included) and i consider our natural resources is one of our biggest asset as Filipinos. I remember going to this island in 1985(courtesy of the Gaitans form Brgy. Igang)and saw this rare,"enchanted" red shrimps. I remember the great coral reef which is a sight to behold when you're snorkeling. I feel bad that the oil spill happened. The government should definitely do something about it. It will take a major effort to do the clean up. I hope politicians will set aside their differences and cut through red tape to provide the much needed help. I have family in Concepcion, Iloilo and I hope the oil slick don't spread that far. Remember the Exxon Valdez Disaster? I think they're still feeling the effects of that spill which happened years ago. I'm based here in the US by the way. Enjoyed reaading your blog. Thanks for dropping by. If they are able to salvage the ship (which has sunk 3,000 feet into the ocean), I don't think it will reach Concepcion. So far, only 200,000 liters of oil has been released with the remaining 1.8 million liters still lying in the cargo hold of the sunken oil tanker. The problem is, the Philippines doesn't have the technology to retrieve a ship at that depth. The government has appealed for international help but so far has received no answer. i am aghast by the slow pace of government action on the Guimaras oil spill. by this time, there should already be an inter-agency task force composed of department heads to accelerate public response and leadership on the ground. in contrast, think of the speed by which they acted to create a task force to register cellphones! I really feel for the local officials esp the governor who couldn't stop his tears from flowing during a recent presscon. unfortunately, i am too far away to help your uncle out. 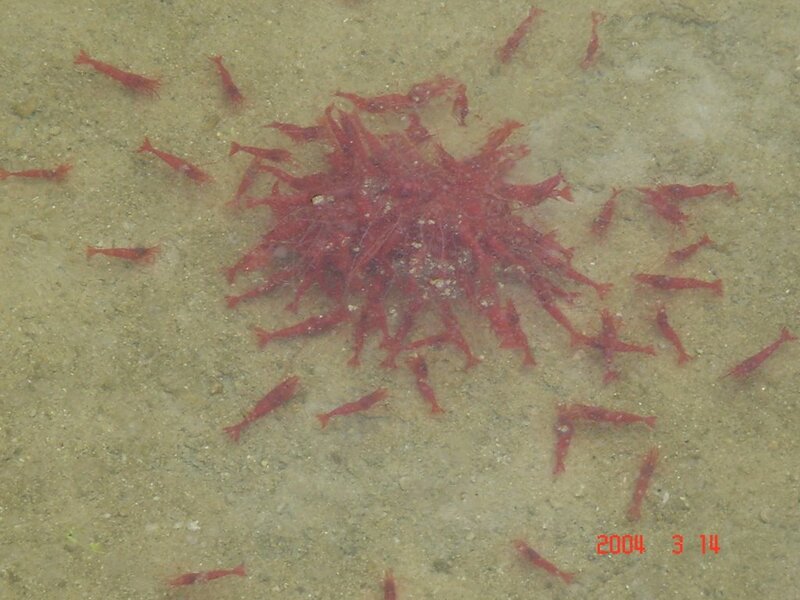 i haven't even seen those red shrimps...and now they're threatened with oil spill extinction. so sad. pls continue writing about this oil spill to make it more real and urgent to a lot of people here in Manila.